ONE LAST HUG before the youth contingent from the Albany Diocese leaves for New York City. 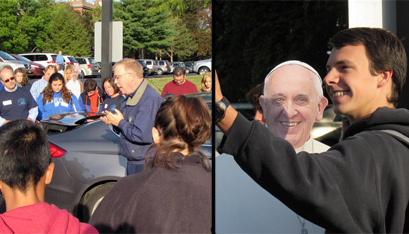 The Albany Diocese received 50 tickets for youths from parishes from across its 14 counties to attend Mass with Pope Francis Sept. 25 at Madison Square Garden in New York City. 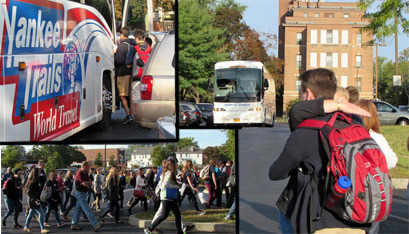 The youth contingent left at 8:30 a.m. from the diocesan Pastoral Center in Albany.